Over the years, Barcelona has had some of the greatest players on the planet, and currently they have who is believed to be the greatest ever. While they proud themselves on developing their own talent, not every star that has played for Barcelona was a home grown talent. In many cases, Barcelona has gone into the market looking for that one player that will complement their roster and take them to the next level. They will always be known for their development of players and not their spending, but when they do spend they don’t do it cheaply. Here are the five most expensive players in Barcelona’s history. David Villa was one of the best strikers playing in the La Liga when he made the move from Valencia to Barcelona, so it was no surprise that Barcelona had to pay £34.2 million. Alongside Messi and Pedro in the front of the attack, Villa proved to be a great addition to the Catalan giants during the 2010/11. If not for an injury that saw him break his tibia during the Club World Cup, he would probably have even a bigger impact at the club. The injury saw him out of action for nearly 8 months and once he returned to the team, he wasn’t the same player. He was never able to regain the form of old too much of Barcelona’s dismay. He would end up with 48 goals in 116 appearances for Barcelona before making a move to Atletico Madrid in the summer of 2013. His dream of one day returning to Barcelona was fulfilled in 2011. Barcelona had to pay £35m for a player that they had given up on and that had flourished at Arsenal. This was the worst kept secret of the summer of 2011. 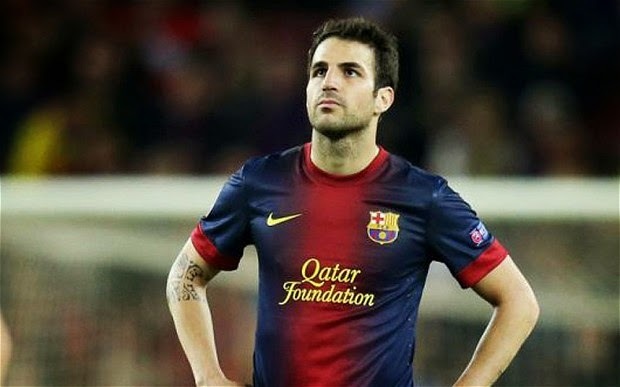 Everyone knew that Fabregas wanted to join Barcelona and that Barcelona wanted their former youth player back. It was just a matter of how much would it cost. He was never able to gain a regular spot on the team, but how could he when the midfield had the names of Messi, Xavi, Iniesta ahead of his. A tuff task for anyone, so while successful in terms of titles, his stay in Barcelona was not as productive when you considered minutes of play. Having said that his first two seasons saw him having more minutes either off the bench or as a fake number 9, but his third season proved to be the final nail in the coffin. This summer’s move to Chelsea was the ideal scenario for someone who wanted regular playing time. One of the most talked about player signings in the modern game has to be Neymar’s move from Brazilian side Santos to Barcelona. Life in Barcelona has been good for Neymar, he seemed to fit quickly with the Barcelona style of play and the partnership with Messi helped both players. The money paid will end up being worth every penny as this young star rises through and is sure to become one of the game’s elite players for years to come. 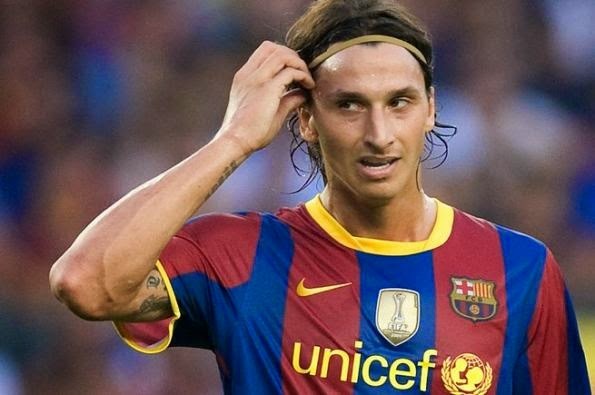 The time Zlatan spent at Barcelona can only be seen as a failure. Despite his 22 goals in 46 appearances, the Swedish international didn’t fit well with the team mates and coaching staff at Barcelona. His talent is unquestionable, but his style of play did not fit the free flowing midfield driven Barcelona. He always seemed like a man lost in the ocean, so it wasn’t a surprise when he was sent to AC Milan, where he succeeded once again before making a millionaire move to PSG. This summer Barcelona signed what is to date their most expensive signing. 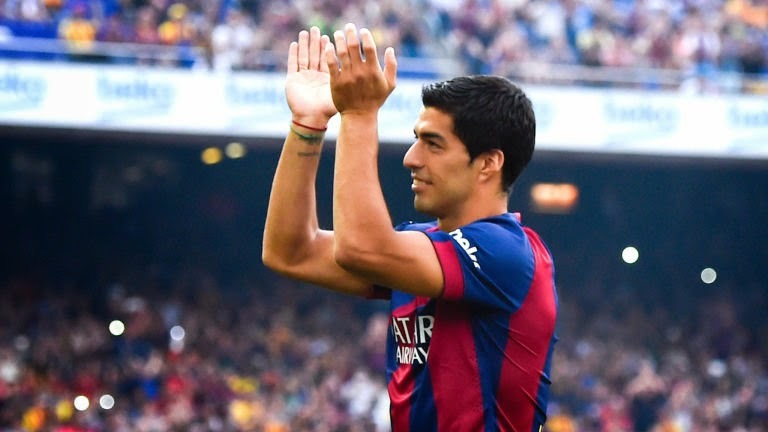 Luis Suarez broke the bank for a reported £75 million from Liverpool. After a biting incident at the World Cup which saw him getting suspended for the start of the season, the Uruguayan international is working on regaining his form and become the point man on an offensive trio like no other in football. Neymar, Messi and Suarez could easily be the best offensive trio ever assembled in one squad. But this is all in theory, if the transfer fee paid by Barcelona will pay off in the end only time will tell.